Dr. Benham is a surgeon from Oklahoma City, Oklahoma who specializes in general and bariatric surgery. She went to college and medical school at the University of Oklahoma and then travelled to Charlotte, North Carolina for general surgery training. 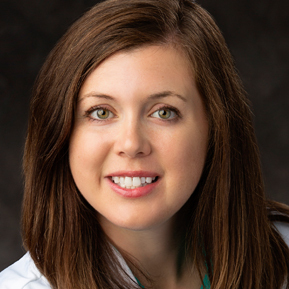 She then completed a fellowship at the Ohio State University in which she focused on the treatment of heartburn and hiatal hernias as well as weight loss surgery. Dr. Benham plans to bring this expertise to Norman Regional Health System. For further information on treatment options for heartburn, please see Heartburn and Reflux Center or make an appointment to see Dr. Benham today! Her goal in joining Norman Regional is to provide the highest quality surgical care with compassion and empathy. She loves running, cycling, and cooking for a healthy lifestyle. A healthy lifestyle is also something she focuses on for her patients and has influenced her decision to help patients with their weight loss journey. She evaluates patients for weight loss surgery at Norman Regional’s Journey Clinic. Dr. Benham’s general surgery office is located at 500 E. Robinson St., Suite 2300. Call 405-329-4102 to learn more about Oklahoma Surgical Associates. For patients interested in weight loss surgery, please call Journey Clinic at 405-515-2049.